The projects aims to create a public structure where everyone could fine a place to everything you want, the people that use the structure became part of it changing the nature itself. The project is developed along nathan road in kowloon, an important way for shopping, the connection structure binds other structures in the area and completes them. These networks, though built piecemeal, owned by different public and private stakeholders, and adjacent to different programs and uses, form a continuous space of variegated environments that serves as a fundamental public resource for the city. This continuous network and the microclimates of temperature, humidity, noise and smell which differentiate it constitute an entirely new form of urban spatial hierarchy. 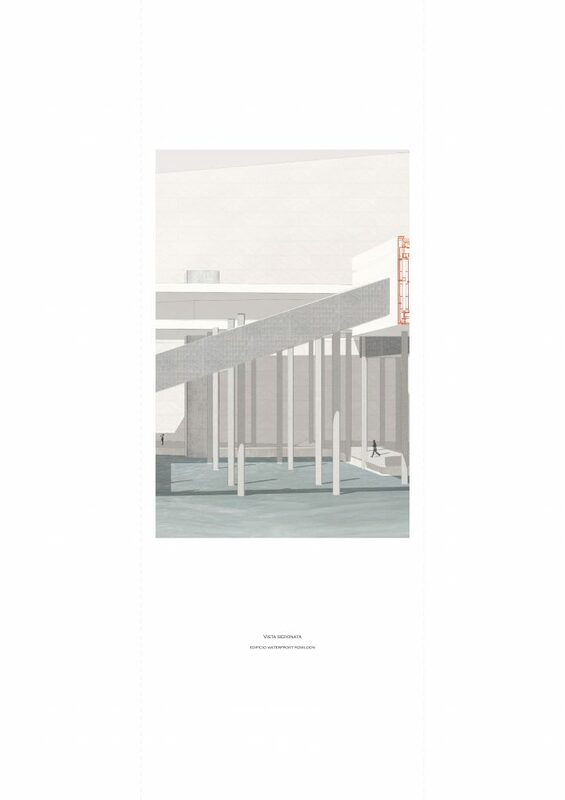 The relation between shopping malls and air temperature, for instance, suggests architectural implications in circulation—differentiating spaces where pedestrians eagerly flow or make efforts to avoid, where people stop and linger or where smokers gather. Boundaries determined by sound or smell (a street of flower vendors or bird keepers, or an artificially perfumed mall) can ultimately provide more substantive spatial boundaries than a ground. 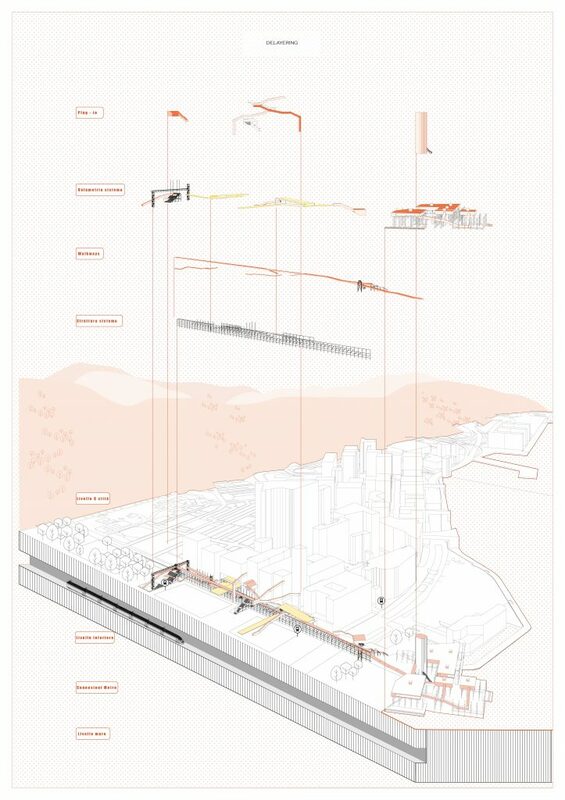 The design aims to improve the flexibility of the existing walkway connections already part of the infrastructure of Hong Kong, by offering an inviting public space connected to the urban fabric of Hong Kong. What tools (digital & analogue) did you use to understand the city of Hong Kong prior to a site visit? One of the most useful resources at my disposal was a book called “Cities Without Ground – A Guide Book for Hong Kong” by Adam Frempton containing descriptions of all the different walkway structures and the urban network they form in the city. 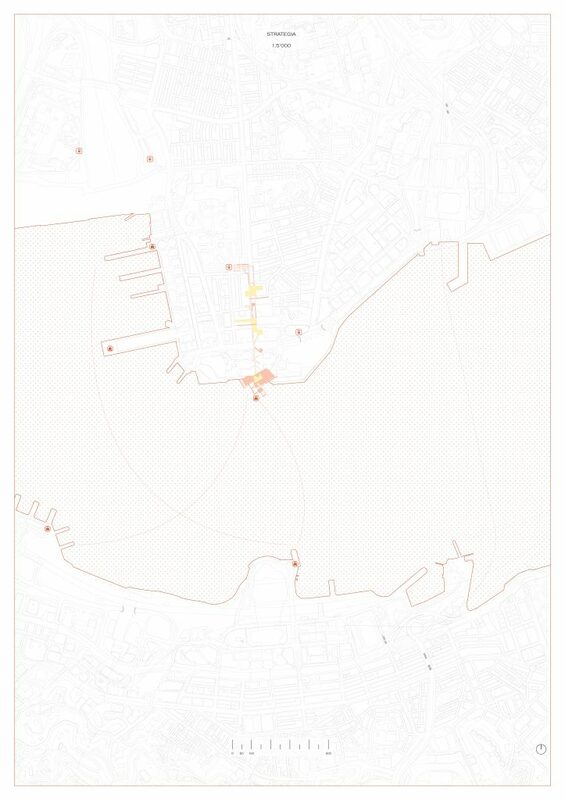 I also consulted data collected by the PolyU HK and 3D Google Maps software to explore the sites before visiting them. When on site how did you record and transcribe different data? During my site visit for the Project “Laboratori Metropolitani” with IUAV University of Venice, I worked directly with the students of the Polytechnic University of Hong Kong to investigate the existing network. Resident professors from the host university also presented lectures delving into the urbanism of Hong Kong with attention towards the raised urban infrastructures allowing inhabitants to live and move above the ground. How was this then translated through drawings? My projects always begin with a written brainstorm of keywords enabling me to map the existing conditions and possibilities for a design intervention. 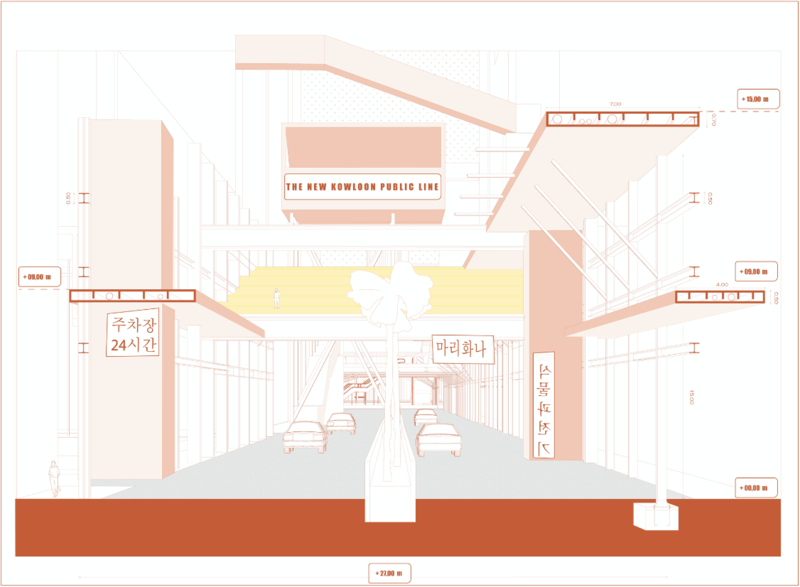 For this project I wrote out and created drawings of everything that could be connected by the existing infrastructure then overlaid new possibilities and functions to propose an improved structure of several levels and traffic flows. What role did the map & plan hold in defining a strategy and masterplan? The map and plan explain the intervention within the network and the urban fabric. The map reveals the context in which the new structure is inserted. Where there are no existing walkways, a new connection connects the urban fabric, without distorting it but rather completing it. These drawings were the base from which I started, therein one can find the strategy of the intervention. The system is a cause and consequence of itself, above all in the perspective of the metamorphism of the system itself. It adapts to the fabric and to itself, completing it and thereby completing itself, with the ability to accommodate multiplicity that make it capable of adapting to the individual and temporary needs of society and the metropolitan fabric. 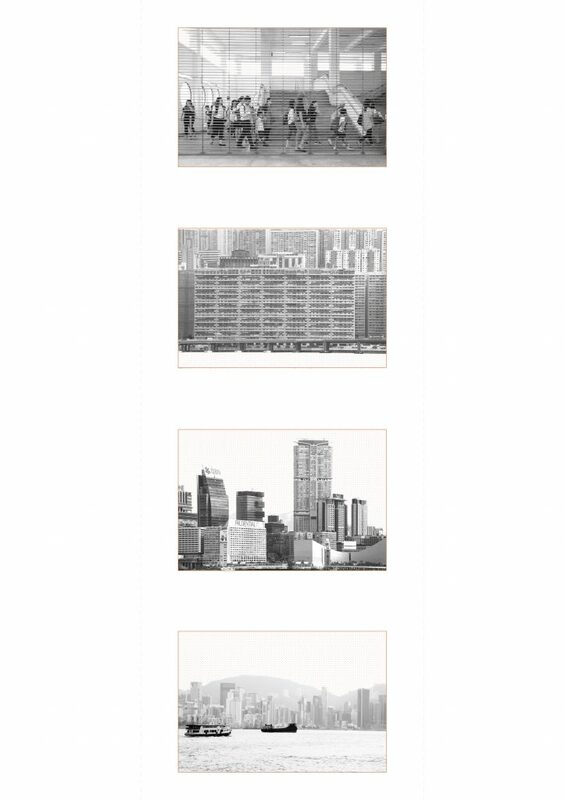 The drawings tell the story unfolding along the new Nathan road structure in Kowloon, referred to as the Golden Mile, proceeding from North to South. The tale begins with the new Metro Station to the North and concludes with a new building offering a scenic viewpoint of Hong Kong, oriented towards the Hong Kong Island. Thereafter the direct view to the city is blocked by an existing structure. Hence the new structure is positioned to offer the opportunity to bypass the building and enjoy an improved view from a higher vantage point. Did you ever think of exploring a wider variety of mediums which would enhance the senses you discuss? The project is the beginning of an extended series of studies. It is the first step in an exploration of the data evolving with the project research. The design process follows the evolution of the urban fabric and the city, and proposes a decisive answer for the resolution of the city. The process has thus far been restrained to the duration of the Master thesis but should be improved and developed further soon. A physical model would certainly improve one’s understanding of the project. If you had to articulate the proposal through one unique image, what would this be? I would absolutely choose the “Long Section” as it reveals everything within the project. 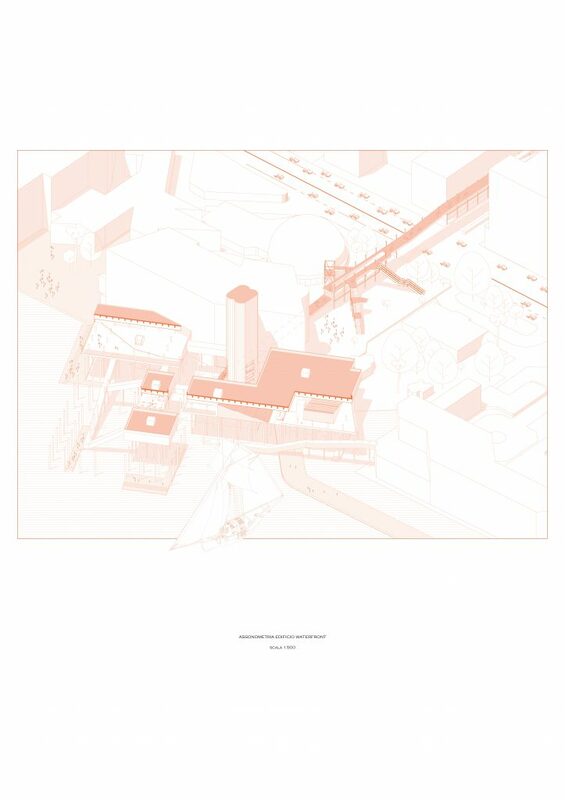 The drawing shows the different levels, as well as how the structure relates to the existing building and how one can access to the structure as well as the dramatic concluding moment. 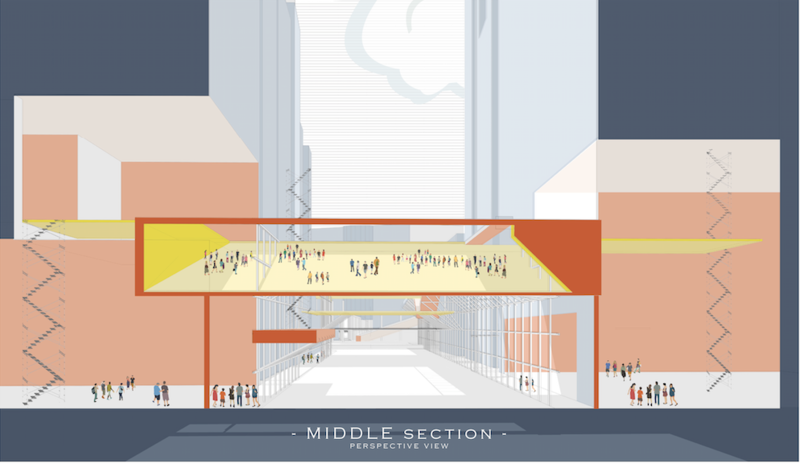 There are also several views directly aligned with the section that help one to imagine the unique circumstances inside the New Golden Mile with an evocative point of view to the relation between the pre-existing buildings and the new connecting element. The most important tool for Architects is the capability to show in a simply and clearly way the concept of the project, could be shown not only by drawings but also with keywords, images. The aims is to translate the theoretical project in something more “concrete” , that can be understood by everyone.